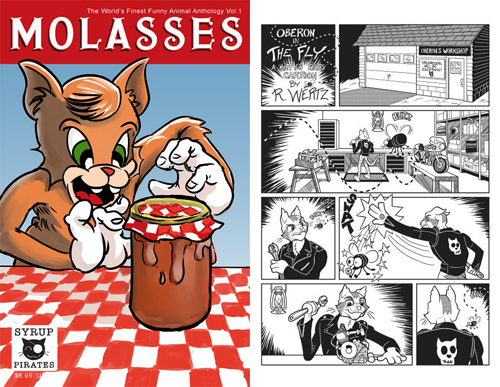 Featuring the exclusive Kitty’s Cats cartoon “The Fly” starring Oberon! Now available from Syrup Pirates, and in select stores. Visit the Molasses Magazine website for details!